Running a business without marketing is like smiling in the dark. You’ll know you’re doing it, but no one else will. To be successful, you have to get your name in front of your target audience. Here are our top 5 ways to promote your business. The best form of marketing that a lot of professionals have forgotten in this era of technology is face-to-face interaction. Bridal shows are still a huge resource that engaged couples love to take advantage of. There’s nothing quite like it! They get to meet and talk with local wedding experts, get advice, ask questions, and find out about new trends in decor, cake, flowers, and attire. Brides, grooms, and their wedding party love strolling through aisles of what seems like their Pinterest board come to life and collecting valuable literature to help make their dream wedding come true. This event is where they start to really get excited about creating their wedding-scape and will probably be a little more eager and willing to sign a contract. As one of the first places that a bride will go to get inspiration for her big day, don’t you want to be one of the first people she talks to? Bridal shows are the ultimate platform to sell. You finally get the bride, fiance, and sometimes even mother (all of the decision makers and check writers) in one place to sell them on why they should hire your company. You can offer visuals, quality customer service, and special show discounts to draw them in and seal the deal. What more could you look for when trying to appeal to your audience? If you’re not exhibiting at a bridal show, you’re missing out on building a relationship with your future clients. Good News! Today’s Bride has 5 bridal shows every year! Old-fashioned snail mail is still a great way to connect with your prospects. Because most of the mail Millennials receive are credit card and student loan statements, they get excited to receive something that’s a little more fun. Getting a cute pamphlet or postcard will stand out among the bills. If you were to send an email, there’s a chance that it doesn’t even get opened before immediately getting trashed. 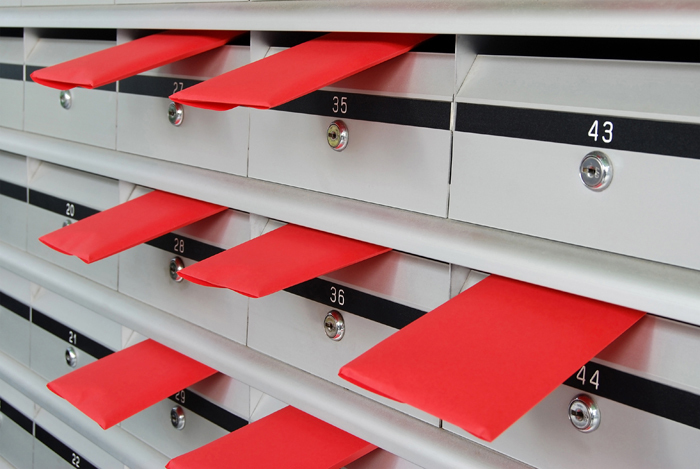 When you send direct mail, you have at least 90 seconds with a prospect as they walk from the mailbox to their house and flip through the mail. If your literature makes it to their bulletin board or fridge, they’re going to glance at it every time they walk by, raising your chances of getting their business. Marketing is all about knowing your audience. The wedding industry mainly consists of millennials, and we all know that millennials rely on technology and the internet for the answers to all their questions – including wedding planning. Once a bride secures that ring, her first step is to start looking to see which wedding vendors are in her area. 98% of engaged couples use the internet when planning their wedding. Because the web is so limitless and vast, it’s easy to get lost in the masses. Therefore, brides often look to Wedding Planning resources – such as Today’s Bride – to help them sort through the overwhelming results. Online listings get you all of the benefits with none of the leg-work. By advertising online, brides have easy access to your website, social media, and contact information year round. You’ll forget you ever put a listing up, but will still be drawing in the new leads and sales. By saying yes to an online listing, you are guaranteeing year long interest. Want to collect leads while eating a swenson’s burger? check out our online listings. Whether you love it or hate it, there’s no denying that social media is here to stay. With every millennials eyes glued to their phones, don’t you want to be the one they’re looking at? If you’re not on social media, you’re not reaching your audience. Consistently posting content will keep you relevant. It’s fast, far-reaching, and will get you in front of more interested buyers, which will lead to more sales. 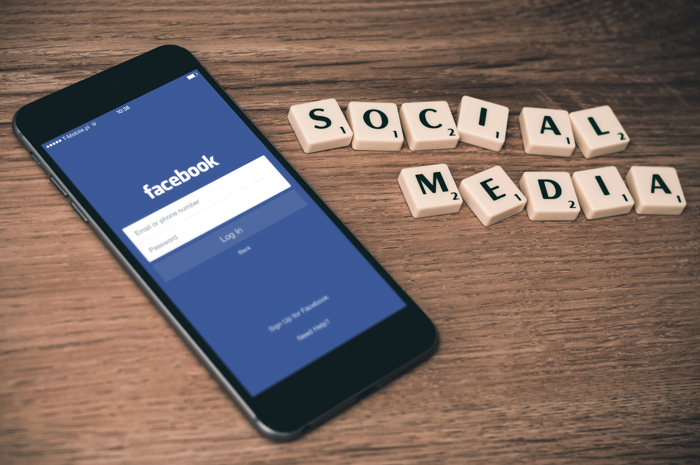 So what can you post on social media to actually benefit you and bring followers back to your website? When you’re posting, keep in mind that while you want to increase your exposure, your content should not be all about you. Your followers want to be educated on how your services help her. Posting a promo or sale price is the perfect balance of this. It benefits you because it gets followers interested in you and hopefully reaching out to make contact. They’re doing this because the content you posted was beneficial to them. Other things you can post are events that you’re in or hosting – cake tastings, open houses, bridal shows, etc. Again, highlight why they want to be there. “Stop by our open house this Saturday to see our newly renovated bridal suite! It has everything you need to get ready for your big day – including a free bottle of champagne for you and bridal party!” A statement like this pushes brides to imagine their own wedding day and realize that you have something that they want. You should also consistently be sharing examples of your work. Whether you post photos, styled shoots, or blogs, you want to educate your followers on the services you offer so they feel confident in your experience and quality. Anyone can post their business online. Print will help you stand out among the digital clutter and garner credibility. Advertising in print means having a year-long resource that consistently reaches brides. During the wedding planning process, a bride collects between 4-6 issues of her favorite bridal magazine. By perusing the pages of those magazines – and seeing your ad over and over again in each issue – you are making your name more memorable and easier to recall. Plus, because a magazine is a tangible resource, it’s passed along from bride to bride rather than just disposed of. Where you might reach Bride A just one time through one issue of a magazine, you may reach Bride B four different times as all of her recently married friends pass their issues on to her. Your physical ad in a magazine never expires, unlike a radio commercial or an online listing somewhere. It lives on forever and reaches an endless amount of brides. And the best part is that once you’ve submitted your ad, you’re done! You will be bringing in more sales without having to do any extra work on your part. 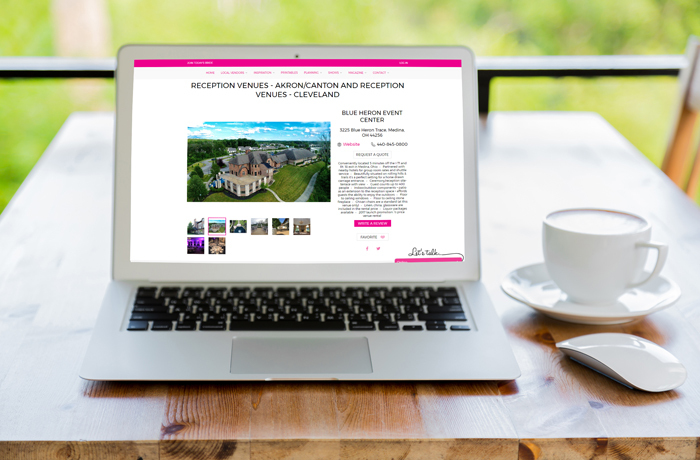 we publish 2 bridal magazines a year for the Akron and Cleveland markets. find out why they’re flying off the shelves! Promoting yourself is key to getting more visibility and followers. Luckily, we have 28 years of experience helping local wedding businesses market to engaged couples and can help connect you with them, too. Start putting these 5 strategies to practice with Today’s Bride!